I haven’t been writing on Pop Rock Nation as much as I have in the past because lately I haven’t felt as inspired. I often look to the media or my daily life for ideas on things to write about. That is especially true when it comes to writing about music. I hear something on a TV show or the Internet and it makes me want to find out more and perhaps share with others. Unfortunately, nothing has come up in the past few days that has seemed worth blogging about. It seems like all my ideas for music posts are about things I’ve written about before. I was thinking about posting another “horrible covers” post, but that seemed a little too played out. So here I sit on Thursday morning trying to get over my writer’s block. I am immediately reminded of an old Elton John song called “Writing”. It’s from his Captain Fantastic and the Brown Dirt Cowboy album, which I first discovered in the mid 90s when I bought a bootleg copy of it from a guy in Armenia. I went looking for it on YouTube and found this cover version by a user named zerobio. No, it’s not Elton’s version, but I really like what zerobio has done with it. So I’m sharing it here. He does a fabulous job with this deep cut classic, doesn’t he? “It Wouldn’t Be Right” is an original… and it’s pretty good. Listening to this, I realize that this YouTuber has got some mad skills. Wow. Just one visit to YouTube has melted my musical blogger’s writer’s block! I check out zerobio’s page and see that his name is really Elliott Kimmel and he’s from Ontario, Canada. I don’t know Elliott, but I can tell he loves music very much. I can tell that he wants to share with others, too. Here’s a guitar tutorial he’s put up for other musicians hoping to learn how to play certain songs. Mr. Kimmel is also a science teacher, which may also explain why he’s so generous with instruction. Wanna learn how to play “Blinded By The Light”? 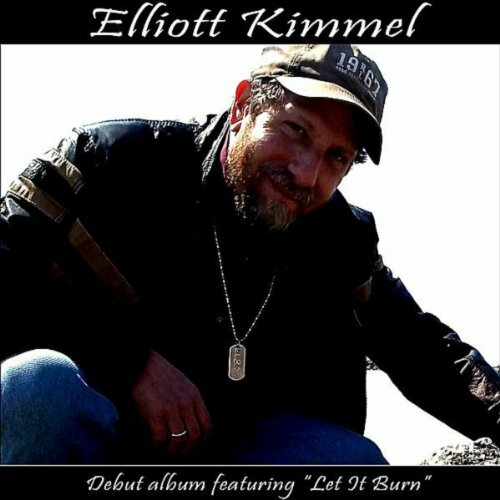 So now I’m sitting here listening to Elliott Kimmel and realizing that though I have only just discovered him, he and I have pretty similar tastes in music. Here’s a cover of “Ordinary Fool”, a song from the musical Bugsy Malone. I also covered it on my own YouTube channel. I like his version better because he accompanies himself and gives the song a different spin. 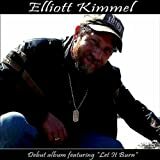 Elliott Kimmel makes “Ordinary Fool” his own. My writer’s block is gone now… and now I’m also inspired to make some music. It beats vacuuming the house, right? Thanks to YouTuber Elliott Kimmel, aka zerobio, for chipping away my writer’s block. I highly recommend checking out his YouTube channel and showing him some love.